You are here: Home / The Latest / Why Should You Start Kitesurfing..? Why Should You Start Kitesurfing In 2018? If you’re looking for a way to get more out of 2018, it’s time to take up an exhilarating outdoor sport, and what could be more exciting than kitesurfing? This fun, wind-driven water sport involves – as you might guess from its name – a kite and a board to travel upwind, downwind or even across the wind. If you’ve been putting off trying kitesurfing because you think you aren’t strong enough, no need to worry. No strength is required. In fact, you’ll only be using your hands to steer since the kite will pull your whole body along. Kitesurfing is actually surprisingly easy to learn. In fact, you can get to grips with it in just a few days. Take a few lessons and you could be up and running (or kitesurfing!) within a week. It may look like you need a lot of expensive equipment, however in fact if you buy last season’s gear, you can limit your costs considerably. It’s certainly cheaper than taking up winter sports. When you take up many sports, one of the problems that you face is that you eventually reach a limit where learning new things becomes very difficult. However with kitesurfing, there is enormous variety, and with very little danger involved you can learn exciting new techniques simply by practising. Since you can actually travel with your kiteboarding kit, you can explore exciting destinations around the world to enjoy your hobby. This means you can stay fit and active on your summer holiday, enjoying the warmth and clear waters of your destination from the vantage point of your kiteboard. Whether kiteboarding at home or abroad, you’ll love the opportunity to stay fit and healthy, getting plenty of exercise in the open air rather than sitting indoors, glued to technology! The kiteboarding community is friendly and welcoming. It is a very cooperative sport since you need to help each other to launch the kites, and that makes for a fantastic vibe and a great social opportunity. 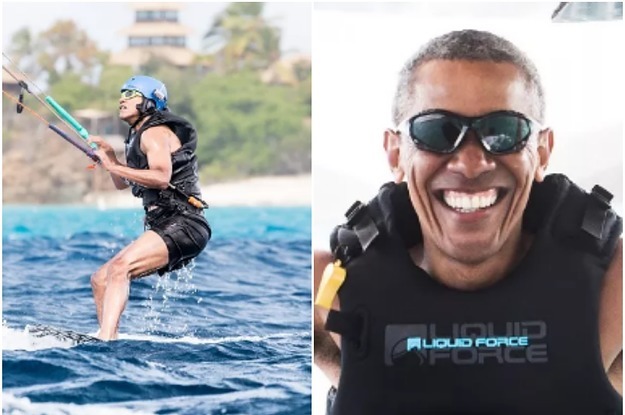 At one time, kitesurfing had a reputation for being very dangerous, however these days it’s a lot less risky. The industry has created a number of systems to improve the safety of the sport, so as long as you stick to common sense rules like never going out alone, you’ll stay pretty safe. One thing to note, though, is that you should always take some professional lessons first rather than relying on friends to teach you, so that you can learn the key basics from the start. Interested? What Do You Need To Get Started? If your interest has been piqued and you’re ready to get started, all you’ll need is a board, bar, kite and harness as well as a wetsuit. 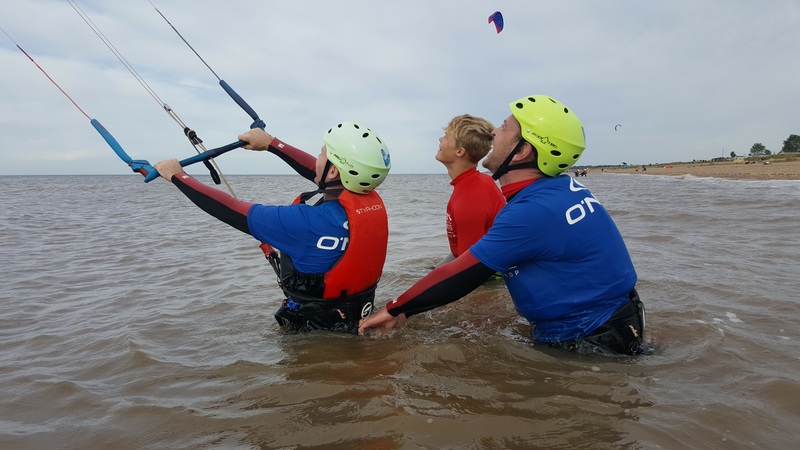 Arrange some lessons from some professionals like Hunstanton Watersports and you’ll be on your way to enjoying a thrilling new sport for 2018. Below is a list of beginners kitesurfing courses we offer.